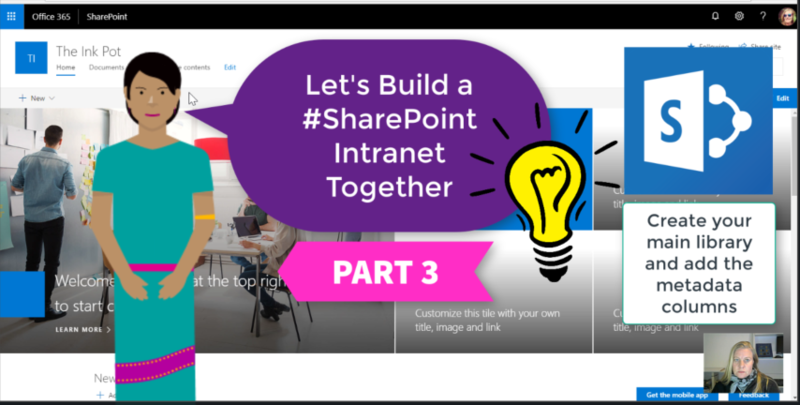 Part of Building your Intranet is creating a place where the documents can be stored. I normally build one big library for Policies, Procedures, Templates etc. In this video we’ll build the Document Library and add columns for Department, Document Type, Document Owner, Revision Cycle and Revision Date. The metadata will help enable us to create grouped and filtered views once our content is added.